There's a lot going on in the City of Ronda in Spain. The Gran Turismo 6 launch event is in full swing and the local GT6 fans had the chance to discover some exclusive content before the game hits the stores next Friday. 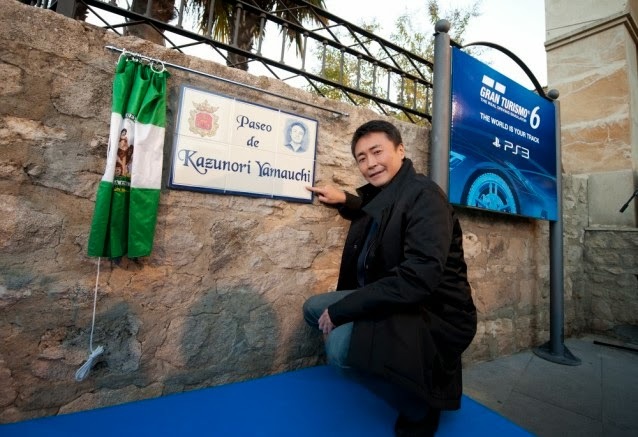 And for the occasion, a street in the beautiful city of Ronda was named in honor of the game's producer Kazunori Yamauchi-san. We couldn't be happier to hear this and we think that Mr Yamauchi deserves such an honor. Stay tuned for more news about GT6 as the upcoming BMW M4 will be officially unveiled in the game!